My trail name is Jolly Green Giant and I decided to start this blog to cover personal interests concerning lightweight backpacking. I am an American in my early 40’s, married with two wonderful boys, and I currently reside in Virginia just a few minutes away from the foothills of the Appalachian Trail. I am also a Trail Ambassador for Gossamer Gear (www.gossamergear.com). Virginia is predominantly my home, although I have spent time out west hiking in California, Wyoming, Colorado, and Washington. 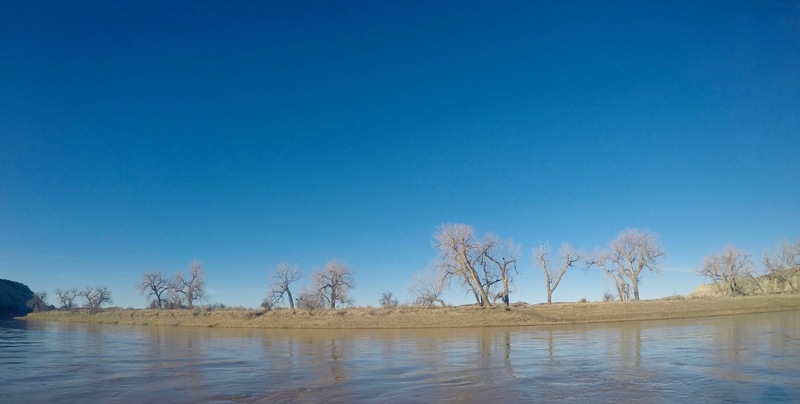 I even resided in Colorado for a few years too and ultimately decided to head back to the east coast for the job market, education systems, and also because my east-coast body never seemed to fully acclimate to the drier climates and elevation. I've been a backpacker since early childhood when adventures with a pre-Scouting group called "Indian Guides". I then moved to Cub Scouts, Boy Scouts, and eventually into solo backpacking when I couldn't convince anyone else to hike with me. From an early age, I was hooked to the beauty and inspiration that only the wilderness could offer. In many ways, backpacking to me is a fundamental acknowledgement of the human spirit and a direct connection to God – something that has been seemingly lost in the industrialization of the world and the abundance of narcissism so rampant in our society. Funny how so many conveniences and gains in technology which were intended to make life more simple to allow us to focus on things that were truly important merely succeeded at trapping most of us in our concrete prisons or the confines of our own busy lives. Despite being more connected than ever through social networking sites, e-mails, cell phones, etc., a recent study identified that people now have far fewer close friends than ever before and that people have a far more intrinsic and self-serving view of the world. In part, I believe this is because we've become a "virtual" society and actual person-to-person interaction has been replaced by emotional and self-focused correspondence, attention focused on out-spending our neighbors, or at the very least, matching them possession-for-possession (as if we'll have a trailer of all our stuff attached to our coffin when it is our time to check out). Backpacking, much like team sports or service in the military, has a tendency to nearly immediately generate long-lasting and deep personal bonds without all these possessions while memories of even short outings seem to last a lifetime. Anyone who has ever backpacked can likely tell you every wonderful and every rotten thing that ever happened to them while backpacking, not to mention all the friends they met along the way. Think about the rest of your life. Why is it backpacking enables such vivid and fond memories while fostering lifelong friendships without all the daily fluff we require in the rest of our lives? Similarly speaking, few can find more personal introspective moments then the time spent gazing out into the vastness of life un-manipulated and "un"-created by man. How often when you truly need time to think or decompress do you take a simple walk, a walk to return your head and spirit to where you find the most inner peace? This is the same reason people backpack. It's a time to re-center, reprioritize, and remember. In my young adulthood, my passion for backpacking slowly grew into frustration. I was in the best shape of my life and my perception of enjoyment in the wilderness meant carrying everything I could get my hands on from the local camping store. As a result, it wasn’t uncommon for me to hike with a 60 pound pack even for a simple overnight stay. The burden on my back both broke me physically and mentally. I was miserable and yet I couldn’t perceive there being a better way to both be outdoors and find safety and comfort in my gear. For me to be happy, I needed to find a better way which also meant "a lighter way". Fortunately, my spirit wasn’t completely broken and I committed myself to researching ways to enjoy backpacking without carrying everything I owned. Through my research, I learned that I wasn’t alone in my plight and discovered an entirely new philosophy outside of that which can be found at REI and in outdoor adventure magazines. It turned out that I, like many others, had been brainwashed by mainstream manufacturers and marketers into believing that I needed a vast amount of nearly indestructible gear to "survive" the treachery of the wilderness which otherwise simply wouldn't be possible without an abundance of gear. This concept was reinforced to me by nearly every advertisement in my favorite backpacking and outdoor magazine where the product displayed was always to fight off a raging firestorm of wind and rain or the unavoidable charge of a wild animal. Literally, everything was marketed to instill fear of either the weather, hostile terrain, or the unpredictability and ferociousness of animals. This concept spilled into camping stores worldwide and is the theme most prevalent today used to compel consumers to purchase gear whether they actually need it or not. Think about it. I began to think about this kind of marketing and came to the conclusion that I had never been swallowed up by the earth, swept away by a hurricane on a mountain top, or attacked by any animal. Undesirable things had happened, and I "survived" without much fuss. At times I got wet, at times cold, and at times injured, but life continued to progress and I learned from my mistakes. Could truly terrible things happen? Sure, but I figured if I exercised common sense, carried the right gear which I knew how to use, and gained ample experience…that I would be fine. After all, if catastrophic wilderness events were more common they would be on the news on a daily basis and no one would ever leave their homes out of fear of the environment. In fact, living in our concrete prisons is really something only entirely known for civilizations in the last 100 years. Before that, some how some way....people figured out how to live life in the wilderness - or in spite of it apparently. From this point on, my intent was to put myself back at square one – to learn things based on science and legitimate “need” and not through the eyes of a gear manufacturer or some vest-wearing high school dropout at REI who was capable only of regurgitating claims from gear manufacturers interested principally in making money. (Disclaimer: I don't mean to single out REI here or at any time. I personally love REI, but often mainstream gear doesn't fit into my lightweight backpacking style. This hasn't stopped me from wandering the isles at REI or other outdoor outfitters however.) Oddly enough, my first stop was my father and grandfather who both informed me that camping “in their day” meant simply carrying a bedroll and a fishing pole. They didn’t need an abundance of insulating garments because they would just start a fire when they got cold. They didn’t need food as their fishing rod (or rifle) would find them dinner. Crockery was branches and a shelter was the open sky, or at best, an old army poncho rigged as a tarp which also served as their rain gear when hiking. Water came from God and everyone was plenty fine with the quality. Oddly enough, they never mentioned any hardship whatsoever and claimed to be plenty comfortable, and in fact (gasp), they looked forward to it. They could also remember every detail and the happiness that was clearly observable on their faces as their eyes glazed over and their mouths couldn't stop from smiling. Despite hoping for a great story about being attacked by a grizzly, waking up next to a rattlesnake, a friend falling off a cliff, or being stuck in the middle of a hurricane - it never happened. They found happiness and comfort very simply and were arguably better men for it. So was I ready to pull the bedspread off my bed, grab my fishing rod, and head into the wilderness? Well, not exactly. Although the concept was romanticized, I’m from a different generation with different comforts and quite honestly the world simply isn’t the same place that welcomed my grandfather or father. I also believe that outdoor activities should be viewed differently by each individual making the effort. After all, it is the independent evaluation of each person to determine if they are comfortable and if they are having fun and what they need to meet these goals. Without which, then what's the point? This is one reason why when asked any question about gear, I generally try to stress the concept of "what works for me may not work for you" as each person needs to find their comfort zone. Similarly speaking, what might work for a young and perfectly healthy single person is a lot different than what would work for a person with some medical concerns, someone with less accomplished physical fitness, and someone with obligations to a spouse and family. If it takes a special pillow or special tent to find this degree of happiness, then so be it. But whatever the gear choice, I think a backpacker interested in having the best time possible would come to the conclusion that the lightest solution is often the best solution. In addition to gear however, it was clear that "experience” and “knowledge” needed to be my guide more than anything because in the end it was this and this alone that I’d need to rely on in the backcountry. The knowledge of how to use my head was far more important than anything I carried, and for the items I did carry, I had better know how to use them. This theory was proven to me many times while working as a Search and Rescue staff member for my local Sheriff's Office. All too often we'd find dead or hurt hikers carrying a department store full of gear in their packs who suffered more from their own ignorance than gear they didn't carry. I didn't plan on being another statistic and I needed to find my comfort zone. I set out on my own journey to learn about fabric and technology that offered me the best chance of both safety and comfort. Initial education and inspiration came from many sources, to include Dr. Ryan Jordan’s book “Lightweight Backpacking and Camping”, Ray Jardine’s books “Beyond Backpacking” and “Trail Life”, and “Lighten Up” by and Don Ladigin and Mike Clelland. I then became a reader and consumer of those that came before me, pouring over the Journals of Lewis and Clark, and reading quite literally any book about outdoors, survival, frontiersman, etc. Toss into that the invaluable experiences from seasoned adventurers such as Andrew Skurka, Francis Skurka, and Justin Lichter, as well as the insight of weekend warriors and section hikers from websites such as backpackinglight.com and whiteblaze.com, in addition to the many backpacking-related blogs in cyberspace, and I learned a wealth of information. I learned about the proven durability and weight savings of Dyneema-X, X-Pac, and Cuben fiber fabric. I learned that a simple pack of silnylon can often be a smarter and more responsible choice than the 6-8 pound heavy cordura packs offered by mainstream vendors. 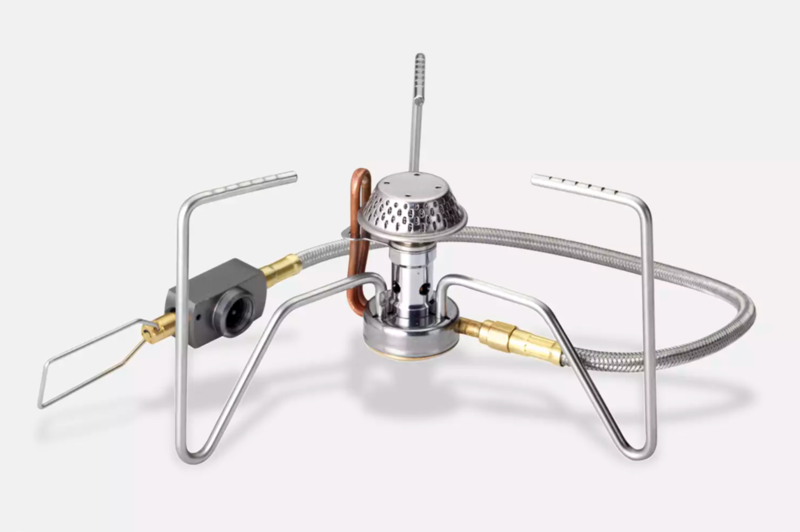 I learned that a simple Esbit or alcohol stove was a great alternative to white or compressed gas which was bulky, cumbersome, expensive, and potentially dangerous. I learned the simple comfort of a closed cell foam (CCF) sleeping pad which was a very inexpensive alternative to many other inflatable options. I learned that a simple DriDucks rain jacket was plenty sufficient for my rain gear needs and was much lighter and less expensive than other things on the market. I learned that a trash bag on the inside of my pack allowed me to skip the exterior pack cover in bad weather which didn't work anyway. I learned that a water pump could be left at home in favor of lightweight chemical treatments and even homemade 1 micron filters made from biodiesel bags which weighed less than anything on the market. I learned about the wonders of a thin base layer of merino wool and the joy of a good down garment or sleep system. I learned less is more, but I had better know how to use what I had and whatever I carried generally needed to have multiple functions. I learned that using my head, being smart about site selection, eating specific foods, and layering was more important than nearly any single piece of gear. I learned that a pair of running shoes could yield an abundance of comfort and allowed me to hike for longer distances than any pair of heavy duty hiking boots which otherwise did nothing more than restrict movement, make me clumsy, and made my feet hurt. 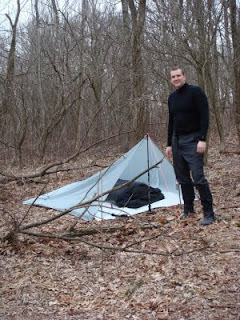 I learned that a tarp is often a better choice than a tent and that small cottage industry companies such as ULA-Equipment, Mountain Laurel Designs, Six Moon Designs, Z-Packs, Backpacking Light, Gossamer Gear, Titanium Goat, Trail Designs, Anti-Gravity Gear, Hyperlite Mountain Gear, Lightheart Gear, Outdoor Equipment Supplier, Goose Feet, Adventure Medical Kits, and many, many others could not only equip me with what I needed, but whose products were top notch, durable, affordable, offered a significant weight savings, and could be customized to meet my needs. In essence, I learned from a grassroots level of what I needed, why I needed it, and how to use it. My research yielded new philosophies, new technologies, dual use equipment, and opened my eyes to the world of LIGHTWEIGHT BACKPACKING. I can honestly say I learn something almost every day about this industry as I'm constantly looking, reading, and learning. With that, my blog is dedicated to lightweight backpacking and the innovations and technology which serve to make the wilderness more accessible and more enjoyable to all of us - in LIGHTWEIGHT style. It is also my goal to share what I’ve learned to help guide others through a landscape scattered with marketing hype and lesser known merchandise which may otherwise never be known. I am no expert, but I like to think I'm an educated consumer and I've found that people who want to make good decisions are willing to take the time to research these issues just like I did. If my blog helps anyone in even the most minor way, it will be worth whatever time and investment I put into it. I will also focus more attention on issues which relate to me personally as I have a handful of unique attributes that I've struggled with and hope to make information about these topics more readily available to others who may be in the same position. One of these issues includes gear and techniques as related to the Appalachian Trail, my stomping ground. Another includes gear and techniques associated with big and tall people (I am 6'5" and 280 pounds). Anyone my size knows how hard it is to live in our "medium" world when clothing is tough to find, cars are often too small, airline seats are laughable, doorways are intimidating, and we can't help but stand out everywhere we go. In the backpacking world, especially lightweight backpacking, finding suitable gear that is long enough (jackets, pants, gloves, tents/tarps/sleeping bags/backpacks) or that can hold our weight (hammocks, chairs) is truly a struggle as few manufacturers are willing to put effort into a very small niche product suitable for us. My blog will also include information for people who aren't super-athletes and those who find themselves escaping to the wilderness only for brief periods often scheduled between the stresses of work and family obligations. My blog will also focus on the integrity and innovation of cottage industry manufacturers from the lightweight backpacking community and the bloggers who report on them which I will also publish and link on my own blog. Lastly, my blog will also include information relevant to Type 1 and Type 2 diabetics, my affliction. I have both which is an extreme rarity. Type 1 people represent 10% of diabetics and Type 2 represent 90% of diabetics. Having both means I represent less than 1% of the population. I was born with Type 1 which means my pancreas didn't produce adequate or any insulin since birth and therefore I couldn't properly use the sugar (energy) in my body. Instead of filtering through my body to use as energy or get out-processed as waste, it gets stored as fat and ultimately ruins all the systems of the body by smothering fatty layers around them. Doctors treat this condition with insulin as otherwise I would die. Insulin, however, is merely intended to give me some energy and not to treat the rest of the condition. Insulin forces sugar into cells and excess sugar is then converted to fat around the cell which ultimately causes the effectiveness of insulin to dull over time creating a fatty layer around the cell. The cell is then resistant to insulin, the benchmark of Type 2 diabetes, as more common with people who are overweight because a poor diet and an abundance of fat can also cause the same condition. Science does not know why this occurs and something like a transplant has a low percentage of working because often it is something in the body of the diabetic that views the pancreas as an illness or enemy and fights it until it kills it much like it would a disease. The result of my condition was that I gained weight despite being a college athlete in phenomenal shape, my thyroid was damaged, and my blood-pressure and cholesterol went up (all requiring medication). As I progressed into my mid-20's, my body slowly started to fail more and more until one week I lost 20 pounds, my eyesight became terribly foggy, I became unable to function and I could very well have died without immediate treatment. From that point on, I began taking a minimum of 4 insulin shots a day, testing my blood also at least 4 times a day, that means being punctured by needles at least 8 times per day.....or if you're doing the math, 2920 times per year. It isn't fun. Because nearly all food is converted into sugar to be used as energy, this disease is deadly because it cannot be controlled. The food is either used as energy, like with a normal person, or it effectively becomes toxic, which is what happens with a diabetic. When most people hear "diabetes", they often envision people who can't stop eating and who become diabetic because they are essentially fat. In the case of Type 2 diabetics, this may be partially true although there are many Type 2 diabetics who are skinny. What isn't realized is often people with Type 2 already have some kind of glycogen disorder and their brains are telling them that they must eat to gain energy or there is otherwise some issue with fat around their cells. As a result, they constantly feel like something is wrong because they aren't getting the nutrition they need being that their body misuses it. As a result, many of them eat, get fat(ter), and worsen their condition. Their cells develop fat more around them and have an even harder time using the sugars they eat...which makes them eat even more because they are genuinely being starved of energy. This disease, which is slowly degrading other organs that are struggling and working harder to correct for a failures in my body that I cannot fix, will most likely end my life in the long run and there is little I can do about it. The American diet is based on convenience and we are collectively killing ourselves. It is based on old perceptions and study that have no relevance today. We are no longer hunters and gatherers. Most of us spend our lives behind a desk. Our bodies are meant to be used and we largely don't use them. If we were heavy laborers, a diet of meat and dairy would make much more sense, but quite honestly most of us, and I mean 99.9% of us, could exponentially better our health by eating vegan. Believe it. We are generations away from the majority of the world being diabetic, well, except for cultures that exist on whole foods being that they cannot afford animal products. If you don't already have diabetes, simply you have won the genetic lottery that bought you this life. But, your children may not be as lucky and their children will almost certainly be victimized as their genetic predisposition slowly evolves like all mankind does over time. It is a matter of time. Take this from someone who has it - eat better and appreciate what you have. I've given readers of my blog this insight not to gain any kind of sympathy or to disclose information I would otherwise prefer to keep very private, but to have them self-reflect whether they are of perfectly healthy or not. In life, there is no do-over. If you have a dream, chase it and be responsible for the body you have by taking care of it. Lastly, I should mention that I am not a "computer guy", not a "techie", and not someone with any kind of understanding over our fast-paced technology-based society more than the average person. As a result, my blog will likely be quite flawed in appearance and function. The blog is based on a free foundation offered at blogger.com. I can only change things minimally and I am not hosting it myself. When you see paragraphs that run into one another, pages that are overly detailed, or links written out in narrative form, you can assume this is both due to my personal ignorance and limitations of the templates that I use. I welcome comments or suggestions to make the user experience more user-friendly and I will do my best to accommodate. As always, if there is anything I can offer to help those that choose to participate in this blog, or if there are those looking for a partner for an outing in the Virginia area, please let me know. I have no delusions nor desires that my blog be the be-all-end-all of all-things-lightweight, but I'd like to think it will be another educational tool for both me and others to share their experiences and learn from one another. Please equally take a look at the other blogs and sites mentioned as they contain a wealth of experience. Best wishes, be smart, be safe, and happy hiking!